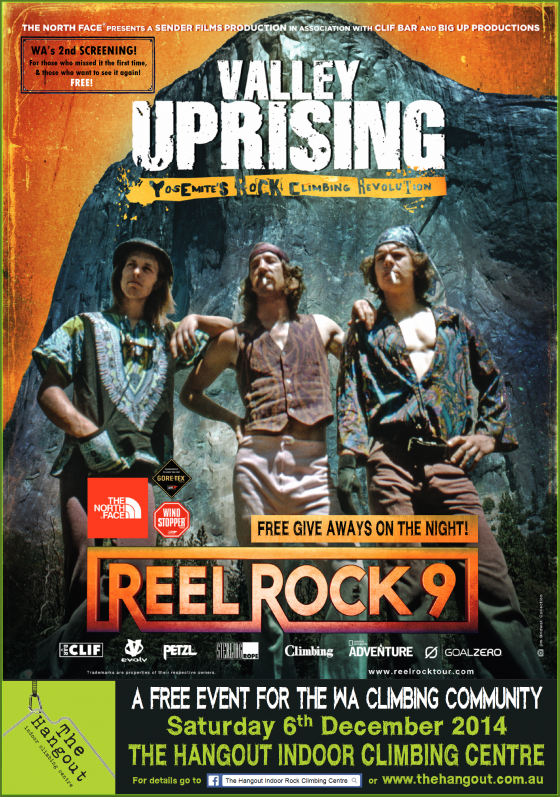 The Hangout will be showing REEL ROCK 9 – VALLEY UPRISING! So if you didn’t get to see it the first time, or you loved it so much that you want to see it again, then come along! TIME: Movie starts at 7.30pm, however the walls will remain open (most of them) until the movie starts for any of you wanting to climb first! PS: There is a rumour that an old cheery bloke dressed in festive red will be handing out some awesome GIFTS & FREEBIES on the night!